The strawberry begonia, Saxifraga stolonifera (aka strawbery geranium) belongs to the Saxifragaceae family. It is also known as Mother of thousands due to its many plantlets. 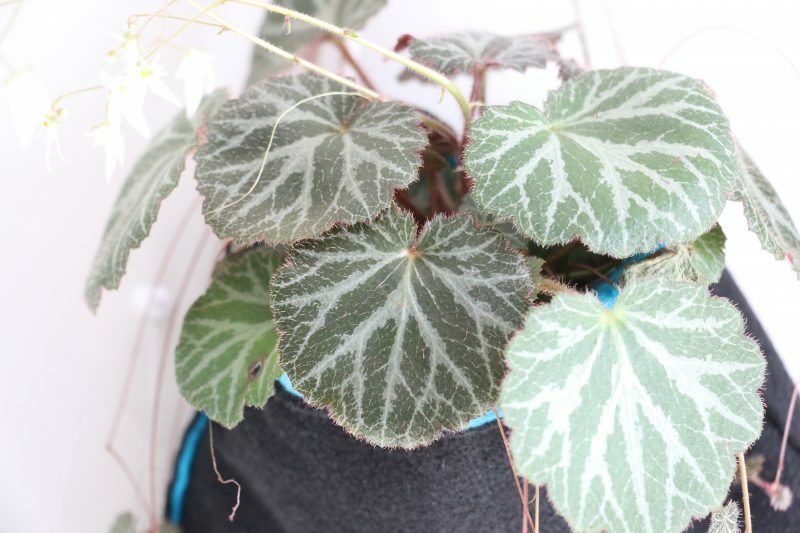 This plant has beautiful dark green almost circular toothed (or some might even say heart-shaped) leaves with silver – grey veins and reddish purple undersides. 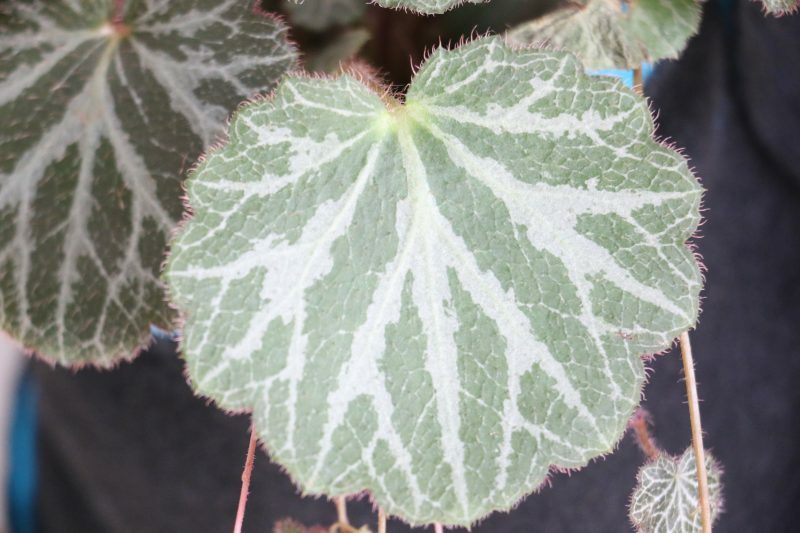 The leaves are covered with reddish soft hairs which turn green as the plant matures. 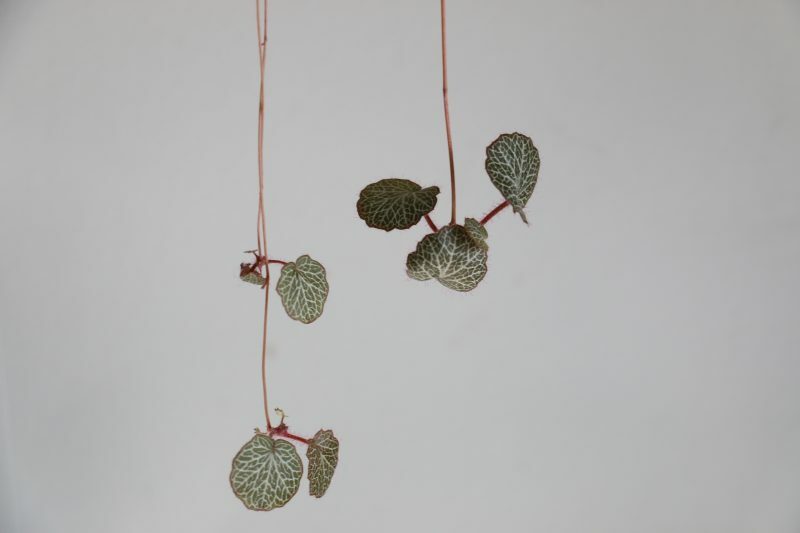 As beautiful as these leaves are, it is the small thread- like stolons bearing miniature plantlets that makes this plant truly attractive when kept as a house plant. These stolons resemble runners of strawberries, while the leaves resemble begonias hence the common name. The plant produces flowers in spring to summer with flower spikes as long as 18 inches. 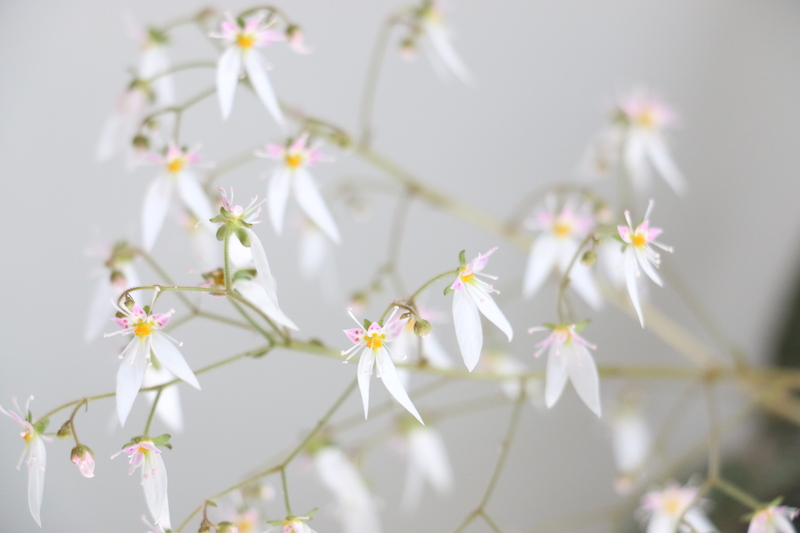 The flowers are quite stunning, with white and pink petals and yellow centers. Noticeably, two of the petals on each flower are longer than the rest. Light: Bright indirect sunlight to partial shade. Early morning sun for an hour or two may be fine but strong afternoon sun will likely burn the leaves. Temperature: This plant prefers temperatures between 10-15oC but will thrive in normal room temperatures (up to 24oC) providing humidity is adequate. Humidity: Since it is not advisable to wet the leaves of this plant, misting is a no no. Terrariums will provide the humidity it needs. 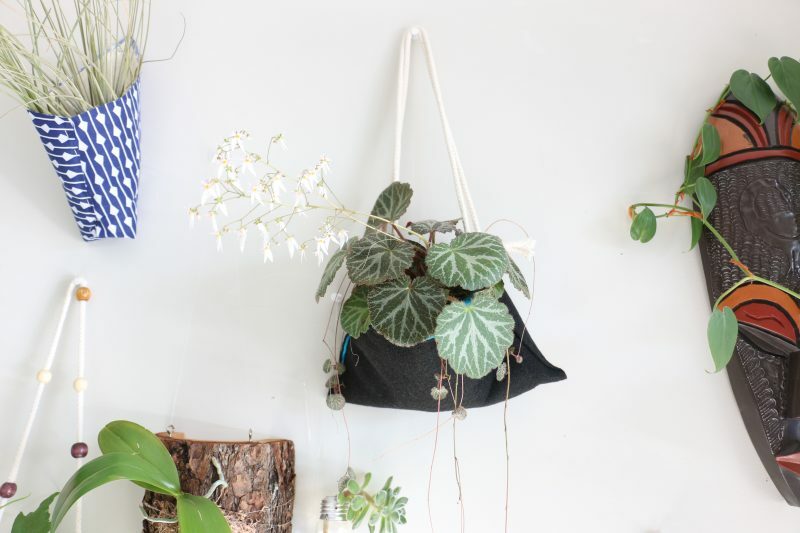 However since we mostly love to enjoy this plant in a hanging planter this is not possible. One easy way to increase the humidity for this plant is to double-pot. Place a thin layer of gravel in the bottom of the outer container or you can use sphagnum moss. Keep the medium you choose moist to increase humidity near the plant. I’m currently using this method. Watering: Keep moist but do not allow pot to stand in water. Water less during the resting period (from fall to winter) giving enough water to prevent the potting mixture from completely drying out. Propagation: This is fairly easy. Pin down surrounding plantlets in potting mixture until they take root then separate from the parent plant. Or you can just cut them off the stolon and pot. You could also propagate by division if you have several crown in a pot. Of note, plants which are 2- 3 years old may end up looking less attractive, so if you wish to keep a vibrant plant, make sure to propagate the plantlets before getting rid of the mature plant. This can be done anytime of the year.